2. Receive your travel proposition (tailor- made). Accept / develop further together. 3. Julie will book all your hotels, guides, transport and add all booking confirmations to your road book. 4. Receive your personalised guide/ road book, for your worry free holiday in Indonesia. We believe that during a holiday, the guest needs to keep some kind of freedom. A contact between you, the island and your guide. The guide is there to guide you, after which it is you who trace your path. Includes: hotel bookings, guide/ transport bookings, but most importantly, Julie’s Tips & Tricks! “ Travelling is more then all- inclusive hotels or boarding the bus of a tour operator. It is not a discipline of rules and laws; everyone has its own style. At GiliTA we help you find your own style, by combining our knowledge, intuitions and creativity. Always in symbiosis with nature and the local communities. We will arrange for a holiday that will be resourceful for the traveller and fill him with peace and fresh energy. Your holiday, I imagine it like my life: beautiful, delicious, exciting, filled with emotions and love. GiliTA is a travel agency ran by westerners and locals alike. I’ve travelled the world for several years and fell in Love with Indonesia and its lovely people. More specifically, with the island of Gili Air, a tiny little island located between Bali and Lombok, seduced me. As soon as I sat foot on this island, a feeling of exquisite tranquillity made me break free of the travel wind for a while and call this island my home away from home. ” Ruma di ruma” as we say in Indonesian. The island of water, surrounded by pristine reefs, crystal clear blue waters and white sandy beaches, seduced me, but most importantly the Gili Family, which truly made me feel, so welcome. Sharing my Love for Indonesia, this Oh so beautiful country is what this company stands for. We join our forces and we will help you realise your dream, like we realised ours. As your personal travel agent, we can help you design your tailor- made Indonesian adventure. If like us you fall in love with Indonesia, we can be your consultant for investment in Indonesia. After your investment we can arrange marketing and management of your accommodation, to make your off shore investment profitable and worry free. Gili Travel Agency specialises in tailor-made travel in Indonesia, scuba diving and wellness travel. 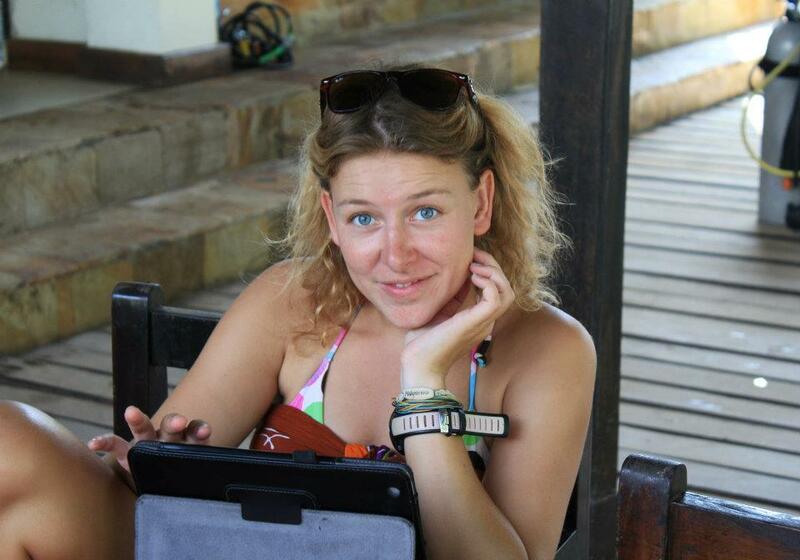 Julie, the co- founder of Gili Travel Agency has several years of experience in organising team buildings and incentives on the European Market. She’s been working in Asia as a Scuba Instructor for the past few years. Therefore, she’ s the perfect person to organise a trip for your group travel and / or an incentive for your company in Indonesia. She’s an expert in web design and digital marketing. 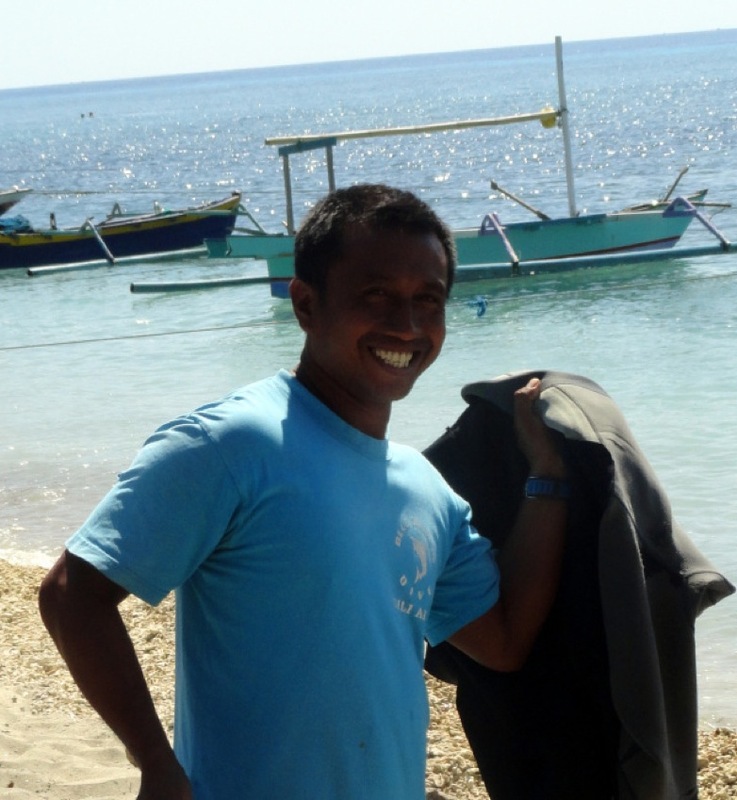 Dedi, our director, has been diving Indonesia’s islands for several years. His knowledge about the ocean and the country is unique. He can ensure the scuba guides are well-trained and good spotters. As we all know these are key factors for a successful scuba holiday. We are very lucky to have him. He’s the eagle eye of our company. Gili Travel agency is based on Gili Air Island, off Lombok. Gili Travel Agency has as main goal, getting you off the beaten track. Are you looking for a Travel Agent that has actually lived and experienced the services they’re offering? That will make you experience Indonesia Differently in a safe way. Then you found what you’re looking for! GiliTA has experience for years in travelling and living in Indonesia. This website is just a small version of what GiliTA has to offer you in Indonesia. Their specialty is organising Tailor- made Adventures for their customers. You choose which activities and destinations you would like to experience and GiliTA will organise you a Personalised Trip in Indonesia! Without hassle. Indonesia can be a bit difficult, especially after 20 hours flying its very common that tourists are asked 700 000 IDR instead of 70 000IDR, for their first Taxi ride. Loosing 60$ on your first Taxi ride, can be a bit of a mood ruiner. GiliTA has arrangements with all their partners, that have been visited and personally analysed and rated before your visit. No Backpacking hassle, no number 22 stickers in the tourist bus… something in between organised by a lifelong traveller to your liking… Discover what you should discover in Indonesia, organised on behalf of your passion and your interests… Your Personal Indonesian Holliday… A Questionnaire… A Skype introduction… Lets see if we have the same feeling and if we do… I will organise for you, the Trip of a Lifetime! All Personalised Trips come with a e-Guide Book with some of Julie’s favorites. A few words about Julie Thonnard, co- founder of Gili Travel Agency. She was born in Brussels, Belgium, on the 10th of August 1985. After studying economics, she entered the European one way tunnel as a External Sales Manager, in the Internet sector, for Resto.be. Travelling had always been my true passion, so I decided to go and look if the grass was greener on the other side. That day was the beginning of an incredible adventure, A World Tour While Diving, that lasted for over 7 years and still lasts. While travelling, I was very lucky to live off another passion: Scuba Diving. Ever dreamed of living on a tropical island? and colourful. The island is unbelievably peaceful. No motorised vehicles are allowed on the island. The only way to get around is by bike, horse- cart (cidomo, the local taxi’s 🙂 or by foot. If you’re looking for a place to completely disconnect and re- charge. This is it! I’m first and foremost a citizen of the world, but Gili has been my home for the past 7 years. western restaurants and lots of activities like massage, paddle boarding, kite surfing, scuba diving, free diving, wild life observation, snorkel trips, bird watching, yoga classes, meditation, … You can get all the luxury we possess in Europe. An ideal place to start your travel, to come down from your jetlag is our luxury place for happy people, Slow Villas & Spa. For too long have we embarked in a never-ending journey, filled with stress, worries and fears. Do you ever feel like you’re running all the time? Stop running. Take time to relax, allow yourself to take it all in. Maybe also take time to take a journey inside of you. The right blend of time and speed for you. Too many magical places around the world have been trashed by mass- tourism. We believe in making your trip worthwhile, all the while respectful of the planet and its inhabitants. Eco responsible tourism. What is eco- responsible tourism? Holidays that benefits local people and the environment. At GiliTA we work hand in hand with the local people, the money you hand to your guide, will go straight to his family. For every booking made on GiliTA.com, 1€ goes to the Ocean Cleanup, to help fund the research of Boyan Slat, who found a way to clean the ocean of all plastic within 5 years. all he needs now is funding. Like, share & Donate! If you don’t know why, watch the movie Plastic Paradise. We create a service for travellers like us, who love to explore and seek new experience and maybe find their home away from home.